After receiving more than 100 abstracts, a detailed Forum programme is in a final stage of preparation and is to be published in a few days. 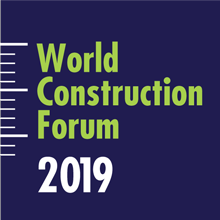 It will be available on the web page https://www.wcf2019.org/programme/ where a preliminary programme can be seen already. More information are Newsletter dated January 15, 2019 can be read here. 6 plenary sessions will be simultaneously held in different halls and visitors will be divided into groups, so everyone will have the chance to participate to lectures of his/her interest. focuses on questions related to Wind Power, Nuclear Power, Water Energy, Solar Energy, Sustainable Energy, with special emphasis on the technical and economic feasibility of energy issues of significance to society. is the construction industry’s version of Industry 4.0. In these systems the material world and the digital world merge and overlap into one – with the goal of creating not only high quality, inexpensive and sustainable, but also smart, interconnected and customized products for the end user. This section is intended to give the viewpoint of lecturers and conferrers on questions related to the importance of digital technology in the integrated approach to cultural heritage. It aims to increase heritage asset resilience with the use of digital technology through the use of Historic building information modelling (HBIM). The quality of life of the citizens cannot be fully guaranteed because geophysical, hydrological, metrological, climatological and technological hazards, so in order to avoid them, we must first fully understand them and the risks that they pose to the community. This can be achieved by establishing an effective partnership between national authorities, professional organizations, code-writing bodies, civil defence units, construction industry, insurance and reinsurance companies, owners and other stakeholders exposed to risk. This section is intended to give the viewpoint of lecturers and conferrers on questions related to a key role that engineering professionals play in the global economy of the 21st Century, in the overall economic development activities of countries and regions, but only when the role of the engineering profession is well understood and utilized. This theme is focusing on project information management for efficient collaborative digital workflows supported by BIM lifecycle – from advanced development of project information model for Design for Construction – to reality capturing/checking integration into asset information model for innovative Facility Management (FM) and Asset Management (AM). More detailed information are Newsletter dated January 15, 2019 can be read here.